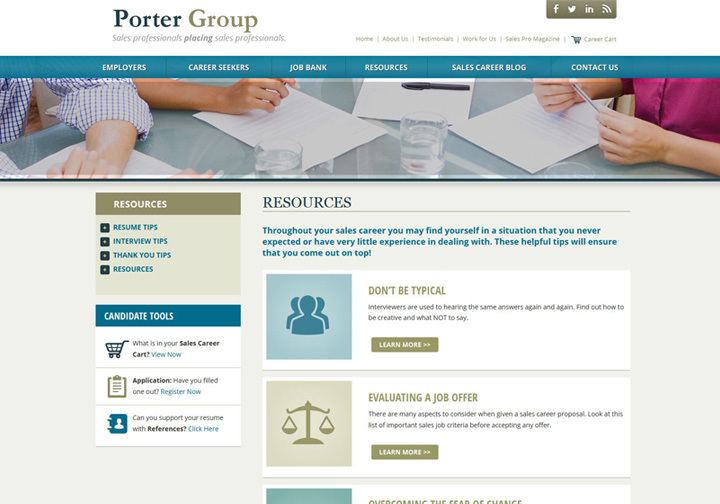 Porter Group - Wood Street, Inc. 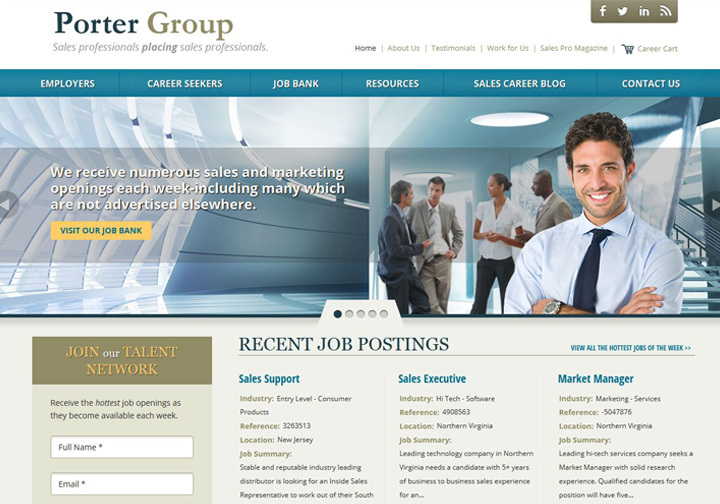 The Porter Group, a sales recruiting firm based in Northern Virginia, has been in business since 1977 and was ranked by Inc Magazine as one of the fastest growing companies in America. Their website was out of date and needed a serious redesign. 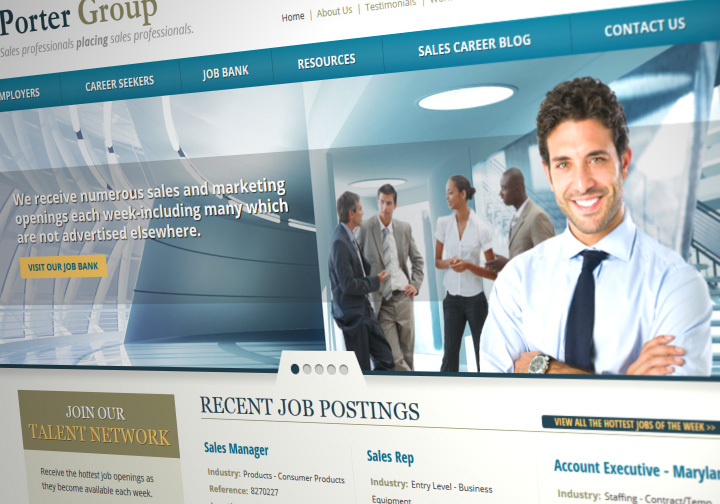 They needed a new job bank interface and for their blog to migrated. 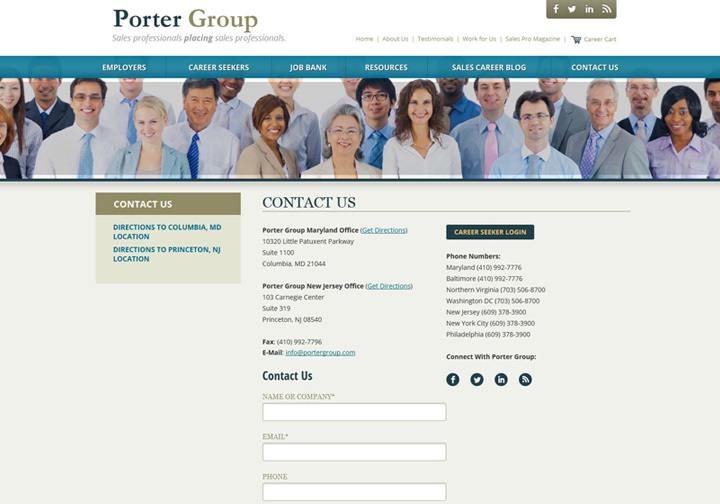 Working with the Jim Porter and his IT team, Wood Street designed a completely new custom website theme built into the WordPress CMS. 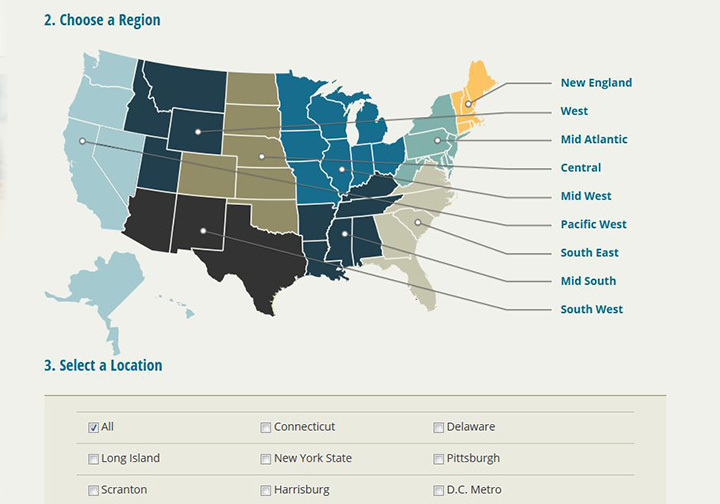 Wood Street also designed a new interface for the existing Job Database portal enhanced the website with Advanced Custom Fields for more control of content throughout – maintaining a clean, fast loading website with high design at every turn.